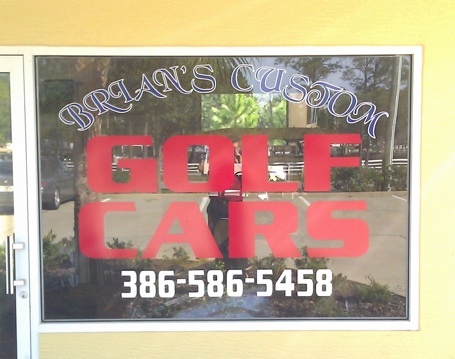 I began my business on October 1st 2002 when I purchased an already established golf car business. The above photo is of my new location on busy State Highway One. Flagler County Business Center. Across from the Thunder Gulch Camp Ground. As you navigate the attached pages you will see several of my creations from sports models, to jacked up Camouflage vehicles and utility carts for work. My goal is to provide the best service possible and with complete integrity.